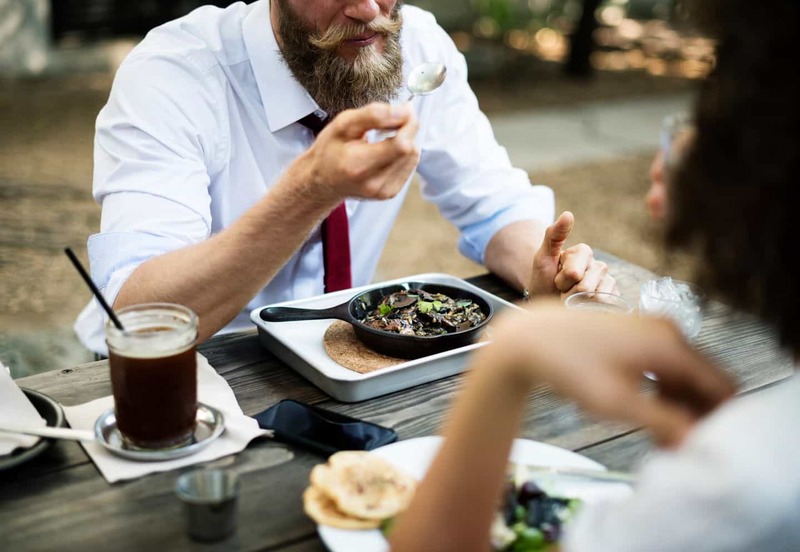 Millennials are now the largest living age group in the U.S., and even if they are young, many of them have sophisticated preferences when it comes to their dining options. The millennial generation is no less passionate with their choices in restaurants as they are in their politics, their beliefs or even their choices in careers. As a recent Forbes article showed, millennials have over $200 billion in buying power. Appealing to this generation is vital. Here are what some restaurants are doing to successfully attract millennials. This doesn’t necessarily mean the restaurant should go outside of its comfort zone, but it does mean that putting thought into a menu to entice a younger demographic is a good idea. Something as simple as using more descriptive and informative verbiage can go a long way. If a restaurant works with a farm down the road, or uses a special cut of meat, put it on the menu and give that information to the diner. Millennials have also shown that they are a generation that pays for quality and a generation that values restaurants that offer organic vegetables, free-range meat and in-house or local vendors. When it comes to advertising, millennials are more likely to trust Instagram photos, Facebook status updates, Yelp reviews and other user-generated content over every other form of advertising. Inspire your diners to share pictures, videos and reviews of the restaurant with their social media followers and in-turn using those in your own social media campaign. In a day and age where most people can upload photos, videos and thoughts in real time, sharing a picture of a sandwich after applying an Instagram filter is not a very uncommon occurrence these days. Giving the customer a shout out for a nice photo of one of your dishes engages your business with not only the customer, but all the customers social reach. Social media platforms come and go, but Facebook has been a mainstay of millennials for years. Part of that is because Facebook has worked hard to ensure that millennials depend on them to be their main reference for dining and drinking options in their city or neighborhood. In addition to creating a Facebook profile for a restaurant and keeping engaged with followers, Facebook also helps businesses advertise and zone in on diners based on age, location, interests and more. Facebook can also help gain reservations for a special dinner or event by posting an “Event” page. This allows potential diners to mark it as “Interested” or “Going” with easy ways for Facebook users to make reservations or buy tickets from the event pages. Add a hashtag to your restaurant and make your restaurant viewable in searches while building a brand. While no restaurant chef wants to be at the helm of a kitchen that offers customization of their menu items, restaurants do need to consider bending a little to allow their customers more options. Millennials love creativity when it comes to food, as well as an ability to make many choices and customize a meal to their specifications. This not only allows them the control of their own ideas, but customization allows the millennial restaurant customer a say in the culinary process. Giving your diners options is sure to please everyone from the picky eater to the gluten-free celiac to the vegan. For the millennial diner, a restaurant is more than just a meal, many times it’s an experience. It’s a story of the afternoon they had lunching with their friends. It’s the story of the dinner they were at when they got engaged. It’s the story of the greatest meal of their life. For millennials, the places they frequent are more than just businesses, they are friends almost, a part of their life. Tell your customers your story. If you use your grandmother’s meatball recipe or your mother’s banana cream pie recipe, tell your customers that. Let people know more about your restaurant than its hours and menu. The identity of the restaurant is inevitably the brand of the restaurant, so make building a brand a priority. Make your brand a story that millennials want to be a part of. Millennials are the main motivators behind most of today’s food conscious movements. Compared to other generations, the millennials are more likely to dine at establishments that source and use ingredients that line up most with their personal ethics and beliefs. Where does your restaurant buy its meat from? Does your kitchen use local or organic ingredients when available? What do you do to cut out waste? If your restaurant has made a commitment to following some of these guidelines, make sure your customers know. Put this information on your menu and add it to your marketing channels. This will allow more visibility to diners who also are aligned by own personal ethics and values.